ServicePoint365 and SYNNEX today announced an agreement where SYNNEX will distribute ServicePoint365 to its solution provider community as a part of the distributor’s Microsoft cloud initiative. Office 365 SharePoint Made Easy. ServicePoint365, a leading provider of ISV applications for Microsoft’s cloud platform, announced today that it has signed an agreement with SYNNEX Corporation (NYSE: SNX), a leading Technology Solutions distributor, to bring ServicePoint365 to its solution provider community as a part of the distributor’s Microsoft cloud initiative. This agreement makes ServicePoint365 immediately available to other Microsoft value-added resellers and service providers to help them provide additional value and drive deeper consumption of SharePoint Online in their Office 365 customers. 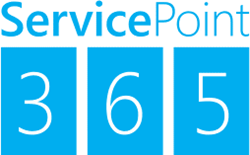 ServicePoint365 is an Office 365 SharePoint application consisting of a number of “Centers” that are pre-configured for Company Intranet, Client/Prospect Management (CRM), Project Management, Proposal Management, Resource Management, Process Management, Knowledge Management and Vendor Management. Solution providers or their customers simply apply ServicePoint365 to their Office 365’s SharePoint Online environment and immediately start managing and collaborating on critical information in a secure, stable and easy-to-use environment without the need for deep SharePoint skills. “SYNNEX is a recognized leader in distributing Microsoft cloud solutions, and we are excited to be working with them to expand their catalog of unique Office 365 offerings. ServicePoint365 will help their solution providers light up SharePoint Online for their customers, thereby driving more value from their Office 365 investment,” said David Huseonica, President at ServicePoint365. Solution providers interested in sourcing ServicePoint365 from SYNNEX can email microsoftcloud(at)synnex(dot)com or call 866-226-7532. ServicePoint365 is a leading provider of Microsoft Office 365 ISV applications for Office 365, SharePoint Online and Azure. For additional information on ServicePoint365 or to become a partner, contact ServicePoint365, LLC at info(at)servicepoint365(dot)com, or visit http://www.servicepoint365.com. All product and company names herein may be trademarks of their registered owners.